How many of us here realize and appreciate the job of recruitment specialists? Probably little less than the importance that we give to the air that we breathe or the sun that shines on our day. As a previous recruitment agent, I share the everyday struggles of the millions of people who work in the same line of business report. Part of our job is to write and submit reports to the management. 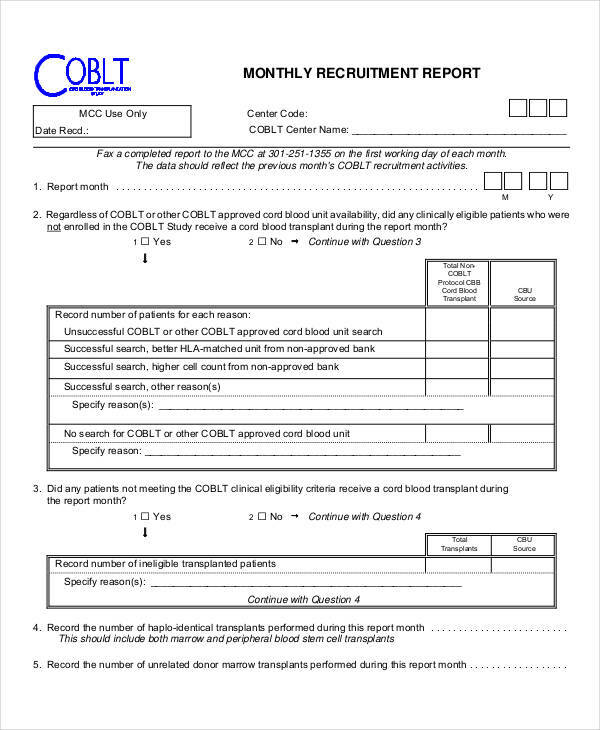 Recruitment reports are created periodically as required. Some do monthly reports while others who are lucky enough create annual reports. It’s just one of the many tasks you have to do aside from talking to people anxious to get a job. 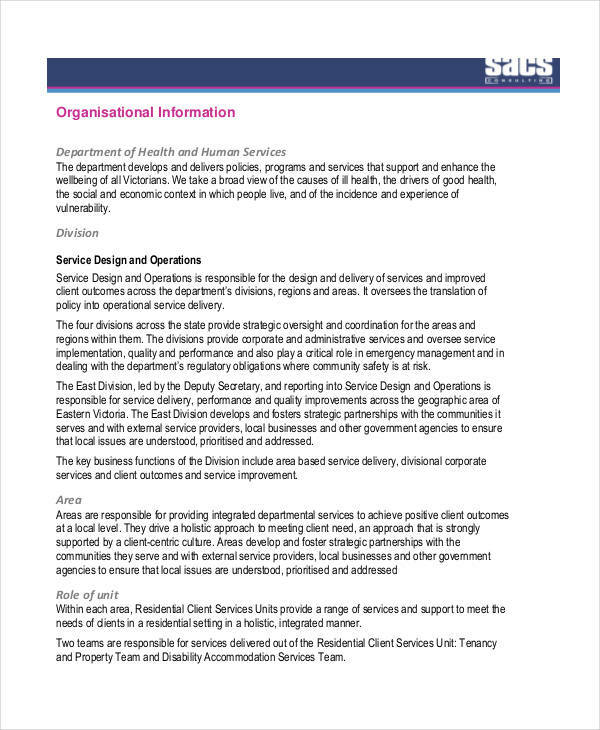 What Is a Recruitment Report? 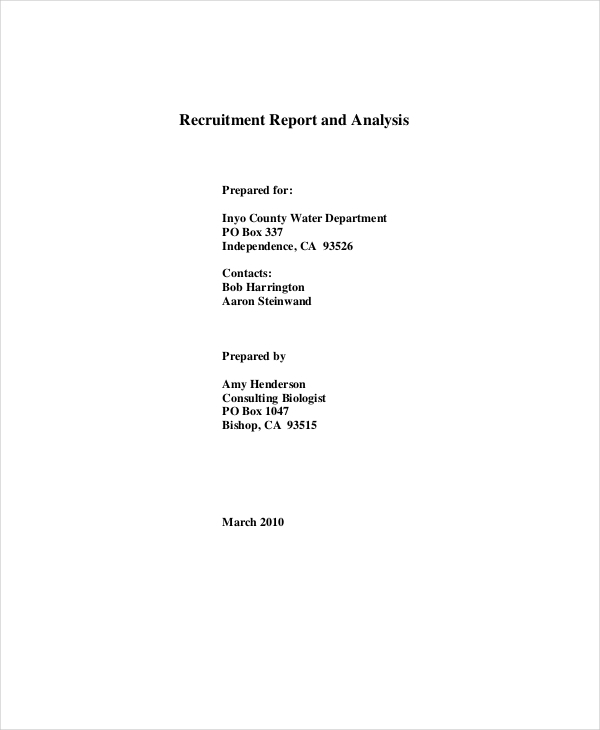 A recruitment report is a piece of document that is drafted to provide a clear and concise information about the recruitment results, its process, and other related subjects. It is considered by some as a testament of a work they have done in their chosen field. The common content of this kind of report are the number of people who applied and those who failed and passed. However, these reports are not limited to these elements. 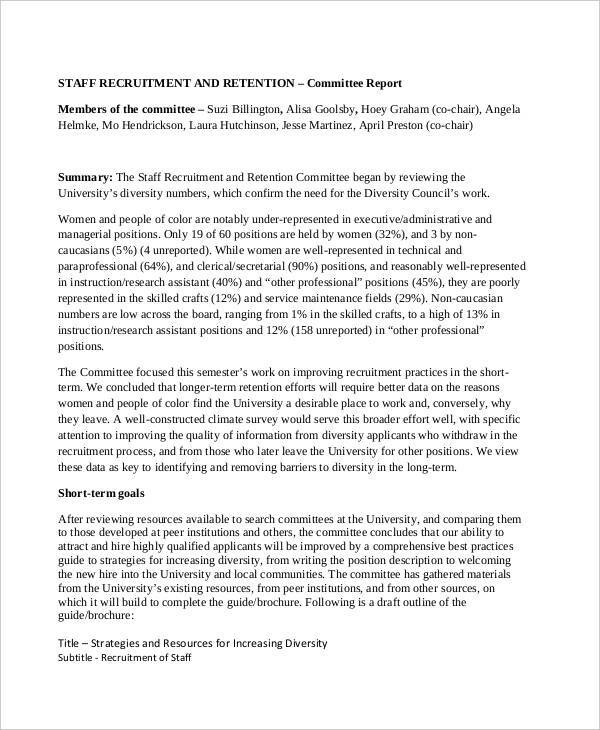 It also contains any recommendations and suggestions to help the recruitment process or would usually include a executive summary of any evaluations. Recruitment reports are usually written with the aid of computers. It is efficient and and provides fast results. 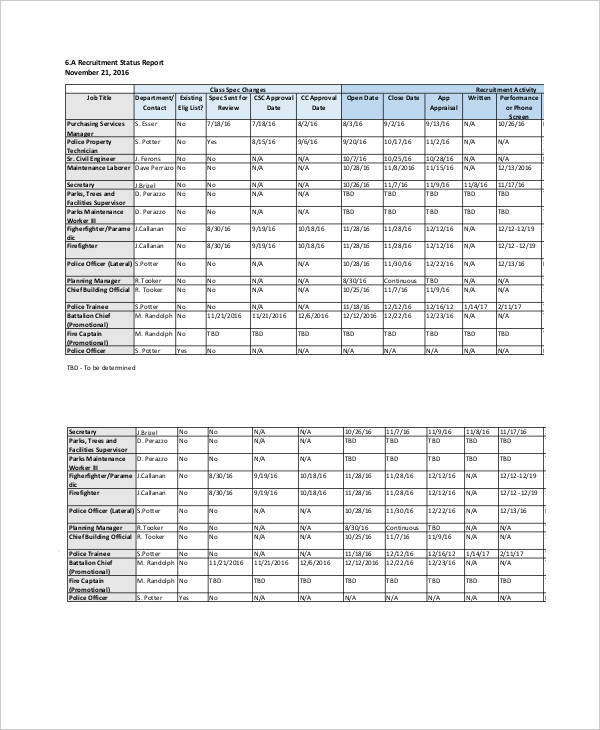 Also, these reports may come in different formats like reports in pdf or reports in Excel. Start with an overview. Briefly explain the background of the report. This may include your personal opinion or that of the company’s shared mission. Create an outline. Most reports are done in Excel formats because it requires graphs. Graphs are helpful to create outlines in presenting statistical data and analysis. Summary. 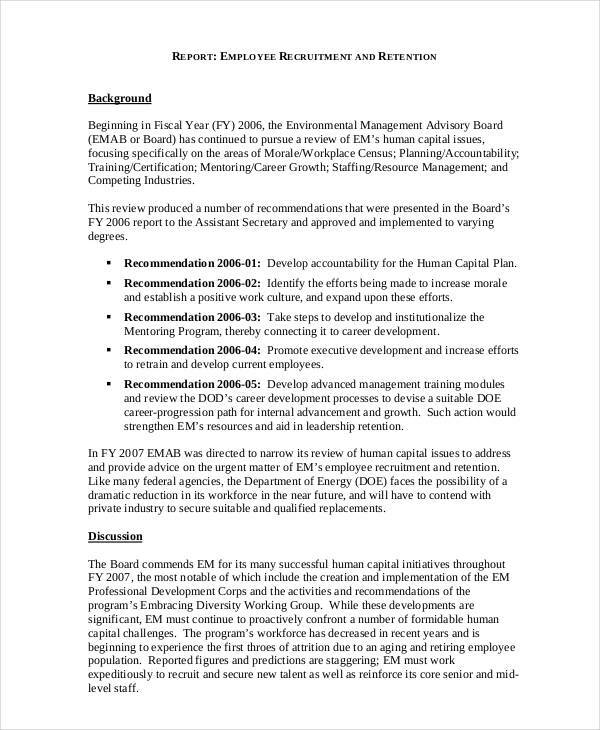 With your final paragraphs, include your overall rundown or any recommendations that could help the staff/resource management report process. 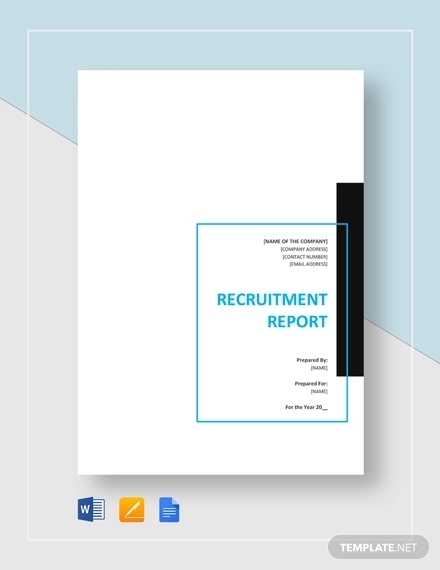 Creating a recruitment report is a very tedious task. It requires your undivided attention and special consideration on every information. It’s just like writing a police report or a sales report where you cannot just be setting your eyes on one topic, rather, all aspects have to be tapped. To complete a recruitment report, you need to make sure you have all the necessary elements of it. These elements can be any of the following; statistical data of the number of recruits, free analysis of the recruitment process, and a summary of your gathered information. You can have an efficient report when you have all these factors. 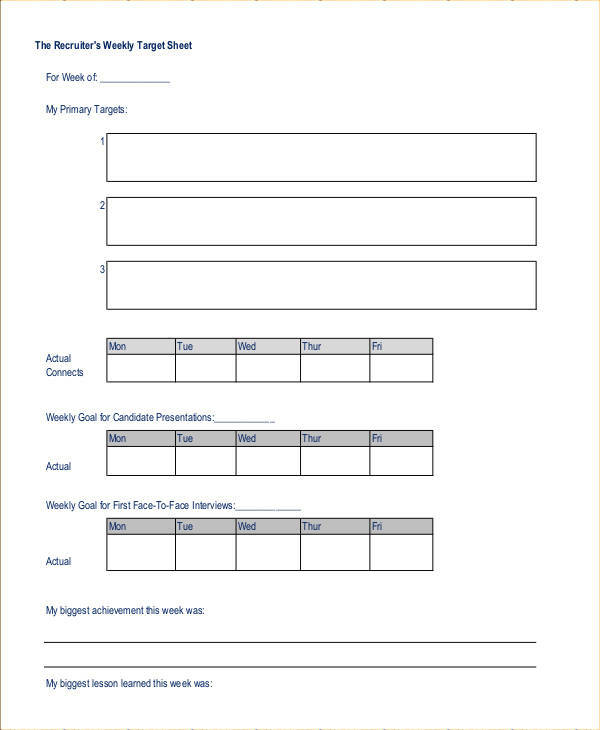 A recruitment report could be used as a basis or a proof of how effective your recruitment process is. Therefore, you should not settle for less when creating it. Set an objective. It is somehow an interesting character when a person sets objectives. It will serve as a guide throughout the entire course of your writing. Prepare the data. Once you have started writing the report, do not be distracted by unnecessary things that could slow you down. Have the data prepared ahead of time. Use effective formats. There are a couple of ways on how you can present your report. Choose the ones that you think suits you best.